Chatswood Stud must have been very good this year as they have been having a brilliant run of late for their resident stallion, Reward For Effort. 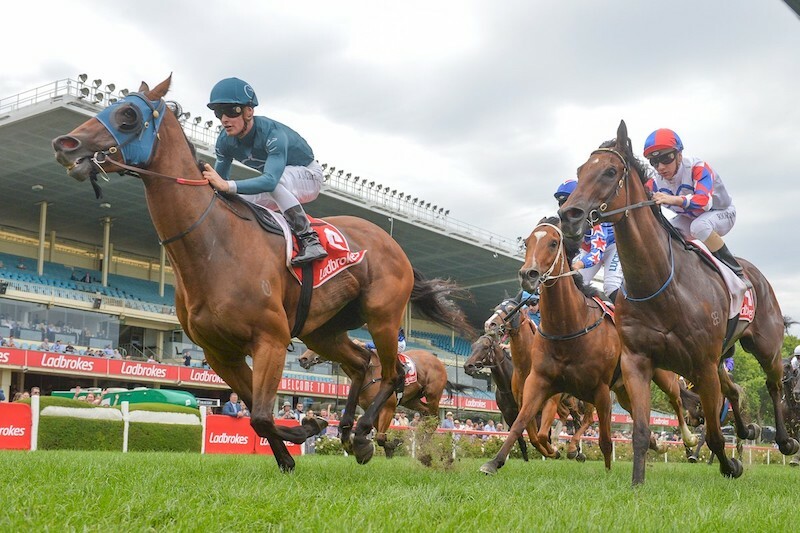 Headlined by Miss Norway’s victory at The Valley for trainer John Sadler, his summer run of success continued with Miss Norway carrying her outstanding track work form into her race, having improved remarkably on the track since her first-up win at Sandown. Bred by Bucklee Farm’s Peter Buckley, out of Love Valley, the daughter of Reward For Effort mare was a graduate of 2016 Inglis Premier Yearling Sale. Bucklee Farm winning graduates of recent times have been Group winning Cliff’s Edge, Sopressa, Sunday Escape, Weekend Escape, Leishman, Hay Bale, She’s Our Gift, Lady Selkirk, and multiple stakes winner Money Maher. “The VOBIS initiatives are brilliant, and we, as breeders are receiving the rewards. It’s wonderful influence that VOBIS is having on Victorian breeding,” Smith said. While the other Reward for Effort success stories include Kobe Princess at Seymour for trainer Luke Oliver and a Hong Kong Double for Reward for Effort at Sha Tin last Wednesday night, with both winners victorious over 1200m although the style of victories differed. Star Superior came from well back in the field, whereas Golden Effort led all the way, a style very familiar to the progeny of Reward For Effort. Reward’s popularity in Hong Kong continues to soar, mainly thanks to the efforts of Group Placed Jumbo Luck who has taken his earnings to just under A$1 Million, Caulfield Winner Kasi Farasi, while $360k purchase Copy Boy is not far from his Hong Kong debut. This is all timely news for breeders with Reward for Effort offering 26 lots at Inglis Premier Yearling Sale. View Chatswood’s draft at inglis.com.au.